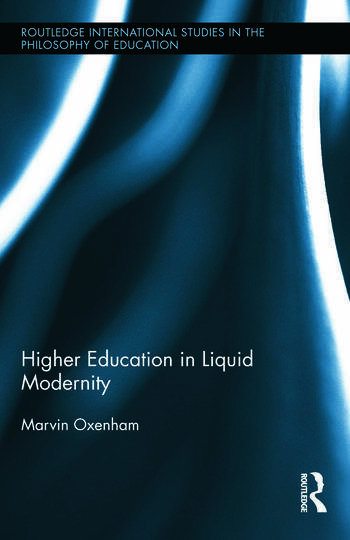 Based in sociologist Zygmunt Bauman’s theory of liquid modernity, this volume describes and critiques key aspects and practices of liquid education--education as market-driven consumption, short life span of useful knowledge, overabundance of information--through a systematic comparison with ancient Greek paideia and medieval university education, producing a sweeping analysis of the history and philosophy ofeducation for the purpose of understanding current higher education, positing a more holisitic alternative model in which students are embedded in a learning commutity that is itself embedded in a larger society. If liquid modernity has left a vacuum where, according to Bauman, the pilot’s cabin is empty, this volume argues that no structure is better positioned to fill this vacuum than the university and outlines a renewed vision of social transformation through higher education. Marvin Oxenham is in the Education department at Kings College London, UK.